Drug crime in Central Bedfordshire has increased by almost a quarter, according to the latest police recorded figures. There were 261 drug related offences in the 12 months to September 2018, according to data from the Office for National Statistics. This includes trafficking and dealing substances such as heroin and cocaine, as well as possession crimes. That figure is up by 23% on the previous year, when 212 incidents were recorded. Overall, police recorded crime in Central Bedfordshire increased in the 12 months to September 2018. Over the period, 17,580 crimes were recorded, up by 18% on 2016-17. That means there was a rate of 63 crimes per 1,000 residents during 2017-18, below the England and Wales average of 85. Gun and knife possession offences in Central Bedfordshire rose by one to 79 incidents. There has been one homicide, a murder or manslaughter. There were four cases of death or injury by dangerous driving. In Central Bedfordshire, theft, one of the most high volume crimes, slightly increased by 1%. Criminal damage in Central Bedfordshire, which includes arson and vandalising cars and houses, has gone up, from 2,145 incidents in 2016-17, to 2,392 in the latest figures. 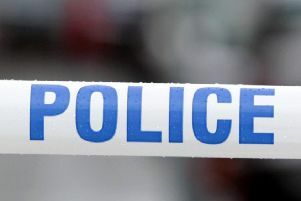 In Central Bedfordshire, there were 437 incidents recorded between October 2017 and September 2018, a 30% rise on the previous year, when 337 crimes were reported. There were also 1,109 cases of stalking and harassment reported over the same period.